Glendower Cottage is a two bedroom fully furnished cottage situated close to the Irish Ferry Service - Goodwick to Rosslare. The Cottage is open plan sitting room - diner with on the wall 20" TV. 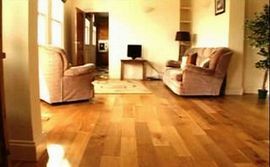 It has Oak floors and doors throughout. 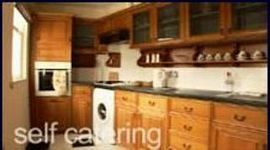 Fully fitted kitchen - fridge freezer, and gas cooker. Double Bedroom has an En-suite WC. Twin Bedroom has a bathroom opposite with Bath, Shower, Sink and WC. It is a quaint cottage with panoramic views over looking Fishguard Bay. Goodwick Square has all the amenities: Pub, Restaurant (The Hope & Anchor Inn) recently fully refurnished to a high standard, contemporary bar restaurant and accommodation and Excellent food. Chemist, Post office Newsagents, Florist, Hairdresser General Stores and Doctors Surgery close by. 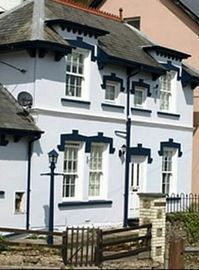 Local Services: Goodwick Square has all the amenities: Pub, Resturant (The Hope & Anchor Inn) recently fully refurnished to a high standard, contempoary bar resturant and accommodation and Excellent food.